home / Multimedia / The Holy Land in news / Ahmed and his family-an account of a Journey from Babylonia to ..
Ahmed was born in Babylonia Iraq, in 1984. In 2006 he went to university to study mathematics, it was there he met his future wife Amenah Neamah born 10th July 1986; they married in a civil wedding on the 25th October, 2007. Thereafter three children were born: tow in Iraq, Fatimah, Hasan and Asenat in Rhodes Greece on the 5th Mary, 2017. During his years at University, he met Christians and spoke freely with them. 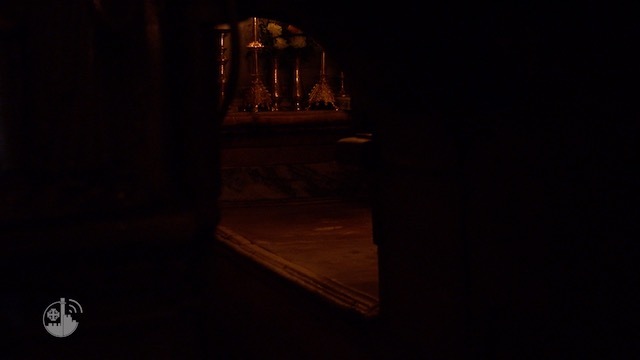 On returning home he began to visit the Catholic Church. One of his neighbours was Catholic and he began to ask him questions about the Christian faith. Other members of his family were also curious about Christianity. He worked for an American Company that carried water by tankers when he was 24. He had never been interested in joining the militia and this was noted. The Isbulah militia people began to ask him for money knowing he worked for an American company. An absurd sum of 50.000 dollars. They began to pressurize him so he ran away to Samawah a city located midway between Baghdad and Basra, about a 150 Kilometers from his hometown. His wife went back to her parents. He contacted the American Embassy to see if it would be possible to have a visa for the USA seeing as his sister lived there. They, in turn, wanted to verify his time working for the American Tanker company. In 2017 he was forced to come to a decision about his future as the militia attempted to kidnap his daughter. He, therefore, bribed an official whom he knew in the passport department and made a passport for the family in order to flee. He flew to Ankara in Turkey on a holiday visa and then made his way to the U.N. Refugee camp. His wife was becoming increasingly sick with cerebral problems so he took her to a hospital in Izmir. She has raised intracranial pressure. Writing on Facebook, he expressed his views about Islam; he lamented the attempted kidnapping of his daughter. He wrote that he wanted to take his wife to a hospital in Izmir and if anyone could help him financially to do that. The fanatics read what he had written and pursued him. The commented that he was a traitor to Islam and that he was dangerous. One man replied, Waleed and said he would help him. That he should give 300 Turkish Lira, about 100 dollars. He met Waleed and handed over the money. He stayed in a cheap hotel. Unfortunately, Waleed was an Isbbullah supporter and the offer of help was a trap. They followed him to the UN camp and questioned him. They said he had blasphemed. He tried to remonstrate saying that he was free to his opinions, but this infuriated them the more. They said he had to repent and ask for forgiveness. More and more he was concerned for his life and that of his family. He again wrote on Facebook asking for help to flee Turkey. Eventually, he found a trafficker who along with another 32 people was illegally smuggled into Greece by boat, they were found by Kostilorizo by the coastguards. They stayed a short while on the island and then were transferred to Rhodes. In Rhodes, they were brought to the unofficial refugee centre in the Old Italian slaughterhouse. He says he recognized instantly what the building had been used for, seeing all the cranes and metal hooks, the large slabs for chopping the beasts, the iron pens, the troughs for the blood, Fortunately, his wife and children did not know what the building had been built for. There was no heating. In the summer they could sleep, but in the winter months the rain came in through the roof. There was no glass in the windows. The kitchen was outside in the courtyard. There was nothing for them to do except wait. They were seen by the UN. It was explained to them that they were not in an official refugee centre and that the State did not support the centre financially. 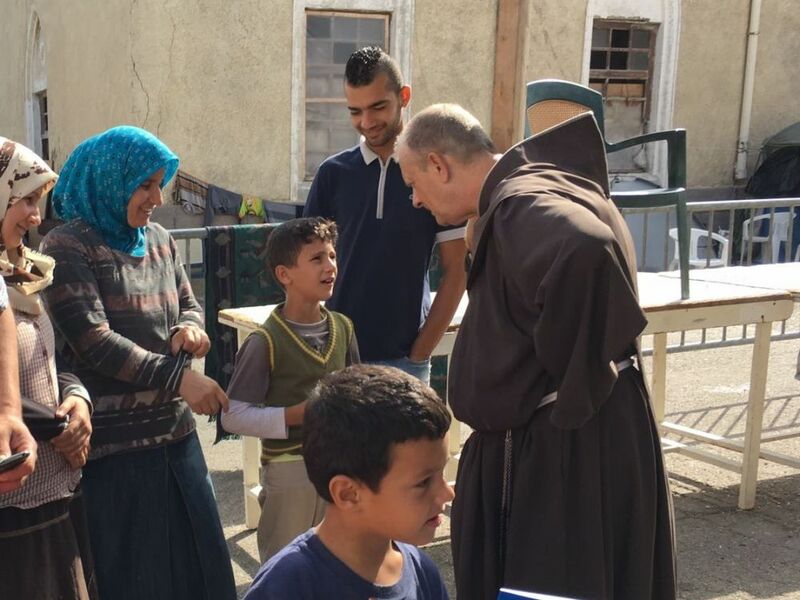 They told them the mayor was taking care of them with voluntary help and that the Franciscans from the Catholic Church supplied the basic foods with the aid of the Association pro Terra Sancta every week. Amenah, Ahmed’s wife was heavily pregnant and gave birth to their daughter on 5th May, 2017. Her first months of life began in the slaughterhouse. The pregnancy and birth complicated the intracranial pressure she was suffering from. She had to attend the hospital regularly. They say the hospital in Rhodes was very kind to them and did all they could to help his wife. Around April, 2017, the Mayor announced that the refugee centre in the old slaughterhouse was to close. It was not official from the beginning. Some of the refugees were transferred to Crete or Kos. 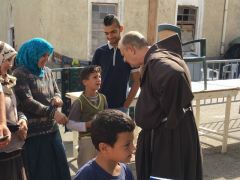 For some families including Ahmed temporary property was offered to Ahmed and family near to the Church of Sancta Maria. Ahmed came to Mass every day. He understood very little but expressed his wish to the parish priest, Fr. Luke that he wished to be baptized together with all his family.